After completing my first PC in this case (s340 Elite) I was hooked on building. This Summer, however, I had a friend enter the Intel anniversary giveaway. Then, shortly after the CPU arrived, I found a killer deal on a 1080ti via Craigslist. I decided to swap platforms from Ryzen to Intel in order to get the most out of my new GPU - and after finding a super shiny z370 board, it was go time. To make things even better, my birthday was on the 24th of October and I figured what better way to celebrate? CPU: i7-8086k 6 core 12 thread 5.2 gHz You know when you tell yourself, "I never win giveaways," and then you don't win. Well that's why it's good to have all of your friends enter too! I was lucky enough to have a friend win one of the i7-8086k giveaways from Intel this summer. He was in a bind financially, so I gave him $250 for it. We both came out happy in the end. This chip OC's itself to 5.2 gHz and runs at max of 86 Celsius under load. Couldn't be happier with my 200+ fps in most titles and a seamless 144hz at 1440p. This chip definitely runs hotter than my R7 1700, but that's to be expected. 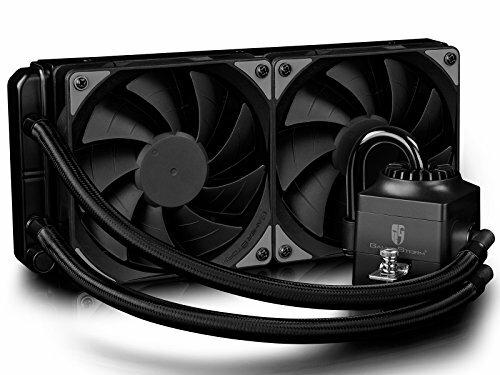 As for the cooler, I reused my Captain 240EX from Deepcool, although I plan to replace it with an EVGA CLC 280mm AIO. GPU: MSI 1080ti Gaming Trio 11gb vram I'll chalk this up to dumb luck, but one day - as I compulsively check for PC part sales - I came across a 1080ti graphics card and 32GB of 3200mhz DDR4 for sale on craigslist. I instantly thought this can't be real, but then noticed it had only been posted for 10 minutes! I quickly responded to the seller and met him an hour later to pick up the parts. I then took the card home and tested it. This thing is a monster: it has 3 fans, 3 zone RGB, takes up 2.5 expansion slots, and is over 12.6" (340mm) long. It also has no problem crushing every game I play while also powering 2-3 displays (1080p 24",1440p 27", and 4k 43"). The only thing I would change about this card is it's RGB software. Mystic light is pretty far behind as far a usability goes and I often found the program non-functional for short time periods. But it's fine if you like to set it and forget it. Also, I thought about trying to sell the RAM, but I could use it once I have seperate Ryzen and Intel builds (which is my plan). Then again, I could capitalize on high ram prices by selling the sticks now and buying more when I actually need it. Motherboard: Asus ROG Strix z370-e gaming The Asus ROG Strix z370 board that I went with was found used on r/Hardwareswap for $120. I chose it primarily for its addressable RGB, Silver accents, and multiple M.2 NVME slots. The onboard wifi is a tad wasted on me, but is still nice for resale or future builds. Also no issues whatsoever with overclocking. I'm even letting the board OC itself rather than manually and it's working great! CASE: NZXT S340 Elite My building journey began with an impulse buy while habitually lurking on r/buildapcsales. The NZXT S340 Elite was on sale with added rebate for stupid cheap and I read nothing but praise so I pounced on it. I was trying to decide what to do with some money I had saved up for something new. Looking back, this case had me throwing money at my screen way too fast, but I'm probably lucky I wasn't stuck weighing all of the crazy rgb/tempered glass cases out there. NZXT hits the balance between low key and gaudy awful (just depends on my lighting). Surprisingly, this case can fit my enormous graphics card along side my front radiator, even if installation is a tight fit. 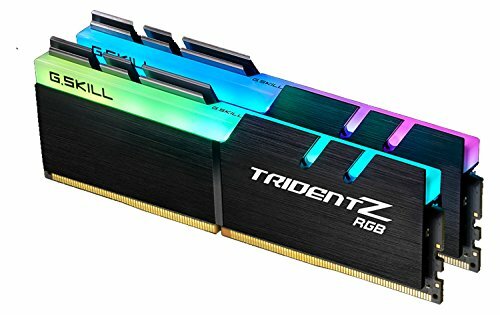 RAM: G.Skill Trident Z 2x8GB 3200 mHz After watching comparison RGB ram options, the G.SKill TridentZ seemed unmatched in "look at me" factor. It felt like an obligatory purchase when the 2x8 16g kit rated for 3200 and 16cl were marked under $190. Thankfully I've been able to get ram almost up to rated speeds @ 2933mHz. This was thanks to yet another daily EBAY discount code which seem to be the real deal maker for this build. The deals seemed limited in this department so I took the 3200 rating as the deal-sweetener. PSU: Seasonic 750W Focus Gold+ Found a screaming deal on a gold plus 750W that came down to $70 after MIR. Thank you Newegg. Fully modular, nothing but positive reviews from what I could find. Jumped on it after reading comments on the reddit post. 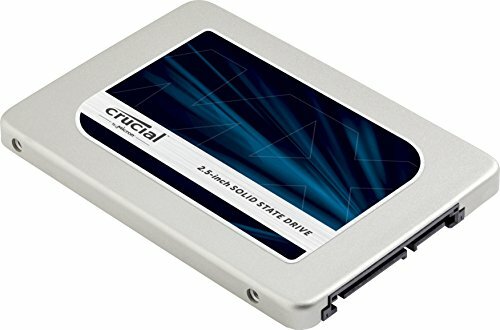 Will be upgrading to an RM850X from corsair in future to give a little more power headroom. Expansions & Peripherals: Various I had been having connectivity issues with my WiFi and there's little I can do to get as hard line connection. I set my sights on the 4 antennaed behemoth from Asus as it would work well with hopefully any signal, no matter how pathetic. My neighborhood is quite busy with signals as well, so a switch to 5 mHz seemed to make a huge difference in download speeds. Thankfully, I scored the AC-88 adapter for only $75 on r/hardwareswap. I was also able to come up on a Deepcool Captain 240ex RGB AIO for $50. I also threw $90 at the 3 pack of LL120 RGB fans from Corsair to match my peripherals, which I have collected over the years. Feels great to have lighting sync across keyboard, mouse, hardmat, and PC fans. If only I could sync them to the board, cpu, and ram. Top-binned. Auto overclock is killer. No problems here, think they fixed the leaking with the EX series. Beautiful accents for an RGB build. 2 m.2 NVME slots as well. Didn't run above 3000mhz on Ryzen, 3200mhz on Intel. Competes with my 950 pro. Great for gaming. Been working for 3 years, no hiccups. Shucked from an 8tb easystore. Best deal on $/TB around. Doesn't even turn fans on until I get to gaming load. Blazing fast and great for compensating for other shortcomings ;). Hahaha. The top one is a hard mat. Soft mat is partially for comfort and also to protect the glass. Also use it when i need a ferment surface or more space. Nice build. It goes well with the other rig you have next to it haha. Ha, my thanks. I've tried many different color themes but rainbow vomit is hard to beat!